"Here's 40 shillings on the drum, for those who volunteer to come! 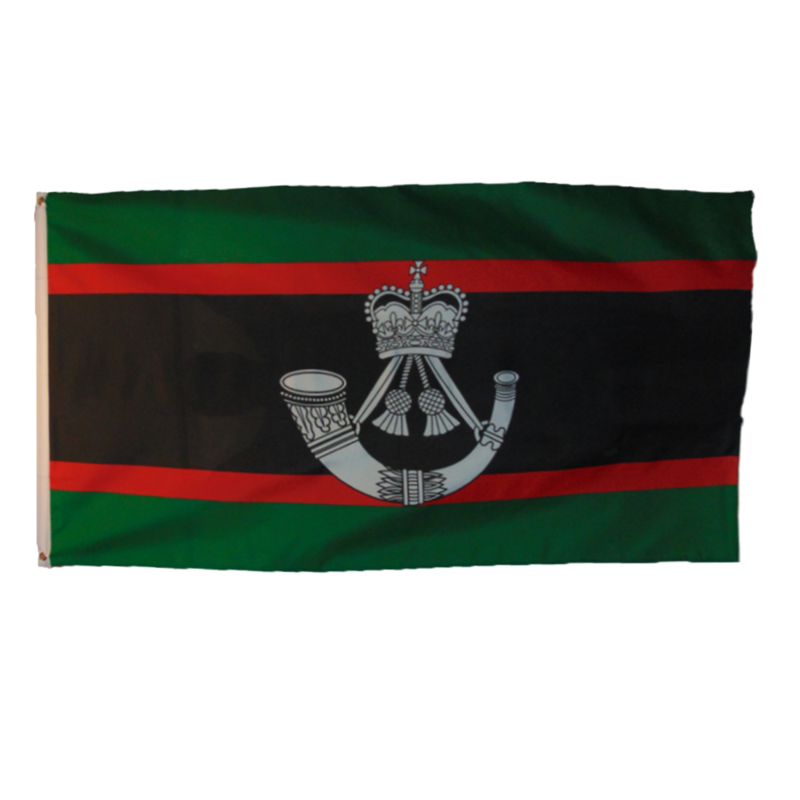 To list and fight the foe today, over the hills and far away..."
The current flag of "The Rifles", a modern infantry regiment in the British Army with a long and fabled history of service dating back to the American Revolutionary War. In the 19th century, they became the crack troops of the British Army, with their historical units fighting with the first standardized military rifled muskets. 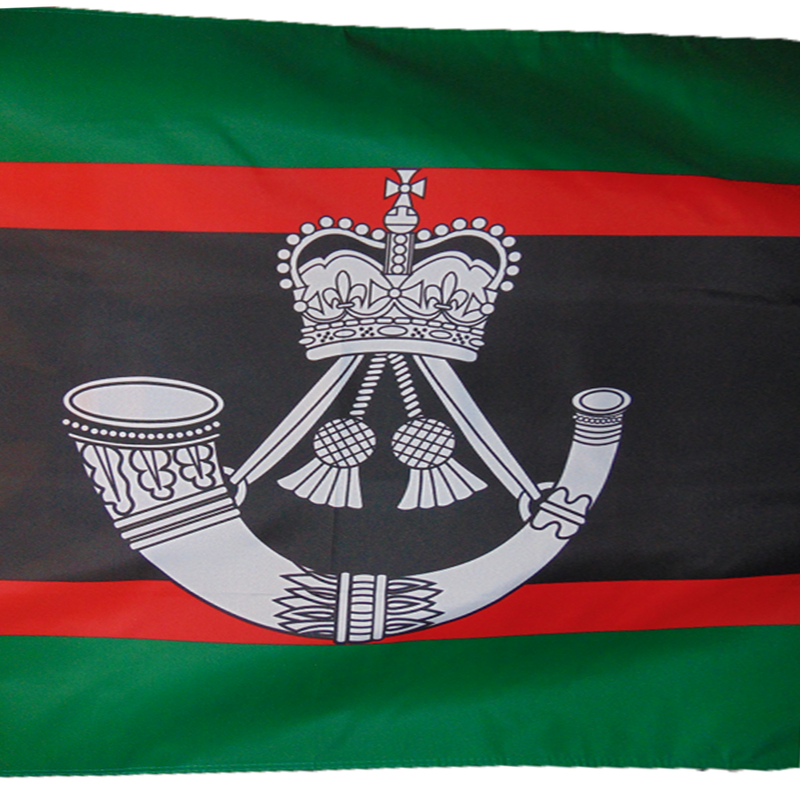 Among them were the elite 95th Rifle Regiment (later the Rifle Brigade) and the Royal Green Jackets. They were some of the first in the British Army (and military history) to utilize rudimentary camouflage in the form of their green uniforms, in contrast to the red tunics worn by the rest of the army. In their capacity as sharpshooters, scouts and skirmishers, they have served with a consistent record of speed and aggression through the days of Napoleon, the Western Front, Normandy, the Falklands, Afghanistan and beyond.